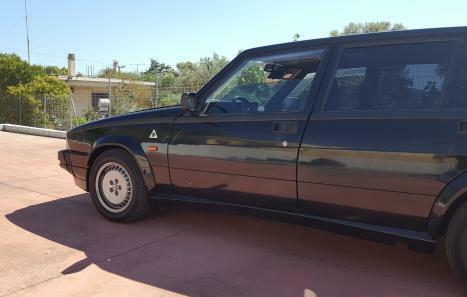 1990 Alfa Romeo 75 Turbo, America II, in original black color. 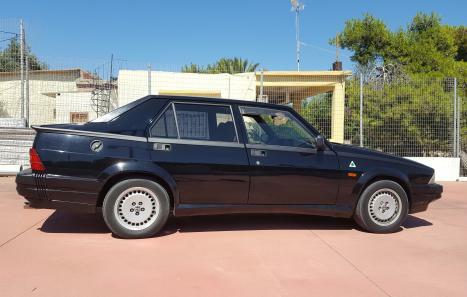 Excellent condition, original car, well maintained, very good bodywork with no rust, 200Km. 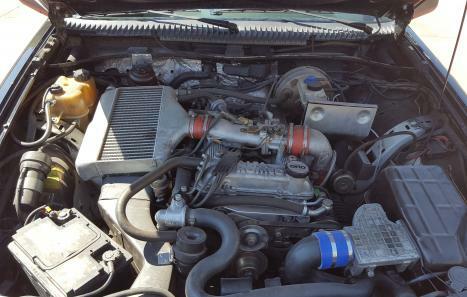 Major overhaul was done in March 2015 by previous owner, including the following: Springs, Gaskets, four intake valves, water pump, brake pump, water cooler, engine base, 4 axis links, new cam-belts, thermostat and ventilator valves, fuel lines, AC filter, disc plateau, nozzles cleaning, exhaust system. 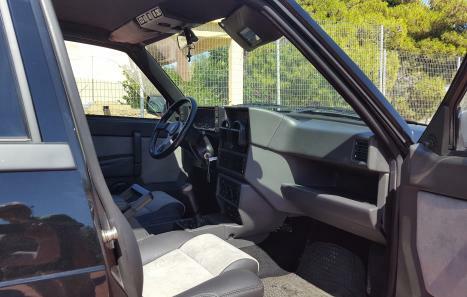 Garrett T3 Turbo, large inter-cooler, original “America” dashboard and indicators.